LMAOBOX is the most prolific Team Fortress 2 cheat program. Or at least, it was. The cheat program touted "Customisable Aimbot features, including Invisible Aimbot and Projectile prediction for Bow, Rocket Launcher and others, specific Sniper options for instant headshots or legit gameplay, Auto-Airblast feature for Pyro with ping compensation and more". For more than five years, it went undetected by Valve's anti-cheat software, infuriating players who just wanted to duke it out on a level playing field. For now, it's over. LMAOBOX was recently added to the VAC (Valve anti-cheat) detection list, resulting in over 3000 bans, one of the single largest ban waves in VAC history. One UGC player, Vlad, publicly discussed his ban. "So, back in [season 17], flare showed me lmaobox on his private server, and, this kind of piqued my interest," he said (via PCGamesN). "Something to make you good really quick? Sounds good. Now, I bought lmaobox premium after having looked around a bit, and I messed around with it. I got more and more cocky in using in on a non alt, and then started messing around in pubs for a bit. I used it in s17, because I was really not as good at that point. I wanted to be good, and that was the best way to do it. Now, I know there is no reason for any of you to believe me, but it doesn't really matter honestly. I haven't used it since S17, so I'm impressed they backlogged it that long. Well, I deserve the VAC and I deserve the league ban I'm going to get for it, but I will say that I did not cheat in any way during season 18." It's gonna be a tough pill to swallow for some players, but for the grand majority this is excellent news. 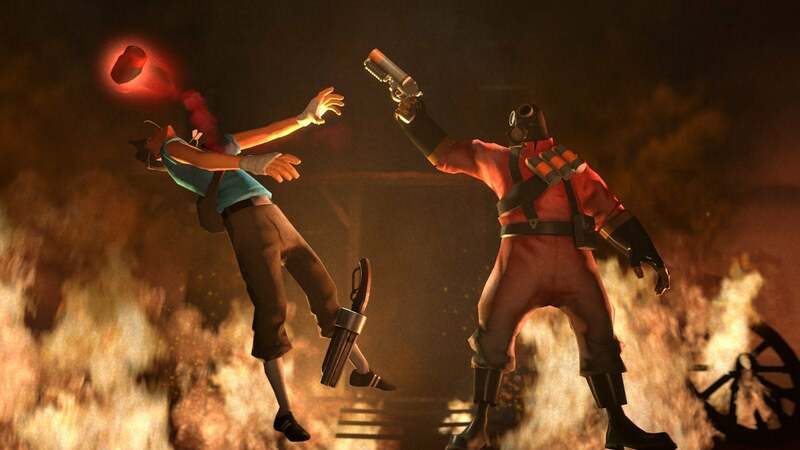 Valve is in the process of rolling out an official TF2 competitive mode, and programs like LMAOBOX stand to stall it at the starting line. It's a shame it took them this long to crack down, but better late than never, I suppose. I'd be interested in the competitive mode if Overwatch wasn't coming in a few days. Does this mean some of the freaky TF videos we've seen over the past few years of amazing gun play and headshots/kills from afar etc could most likely be fake? You kill me with a hack you're nothing, a fat zero...the only thing it proves is you're a scrub. Swing the ban hammer of justice, wipe out some lamers and Tf2 will be better for it.